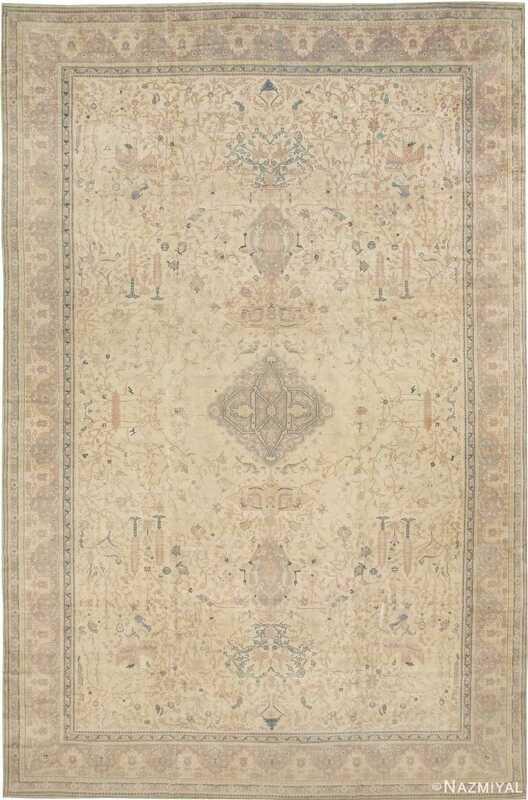 The intricate detail work throughout this rug, from the medallion to the borders, elevate it to a stately level. This effect is enhanced by the subtly contrasting pallet. Antique Turkish Sivas Carpet, Turkey, c. 1920's - Here is impressively woven, classical antique Oriental rug - an antique Sivas carpet, woven in Turkey during the second or third decade of the twentieth century. Characterized by an extraordinarily precisely woven composition, this antique Turkish carpet is evocative of stately and grand settings. 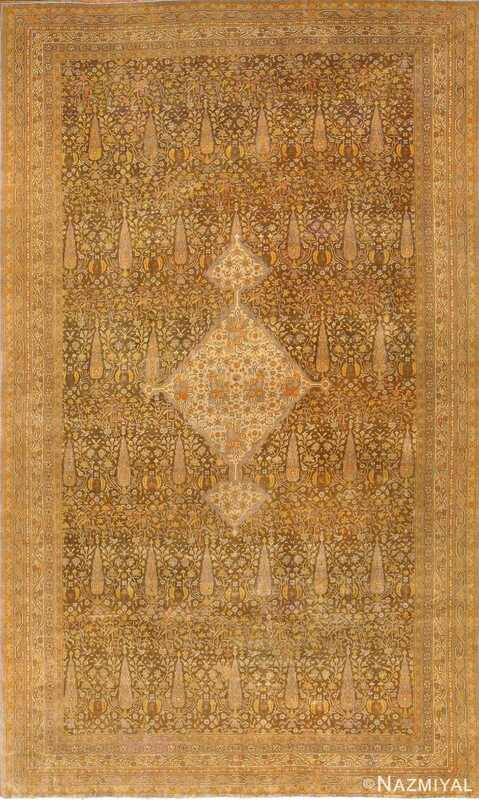 Like many other Sivas carpets, this particular example features a subdued color pallet; this entire rug is woven in shades of brown. The composition itself is also worth remarking upon; the simple presentation of a central medallion, surrounded by a field of carefully drawn cypress trees, palmettes and vine scrolls, is quintessentially Sivas. Originally woven explicitly with Western consumers in mind, antique carpets of Sivas design are often resplendent with traditional and recognizable elements of classical Oriental rug design. 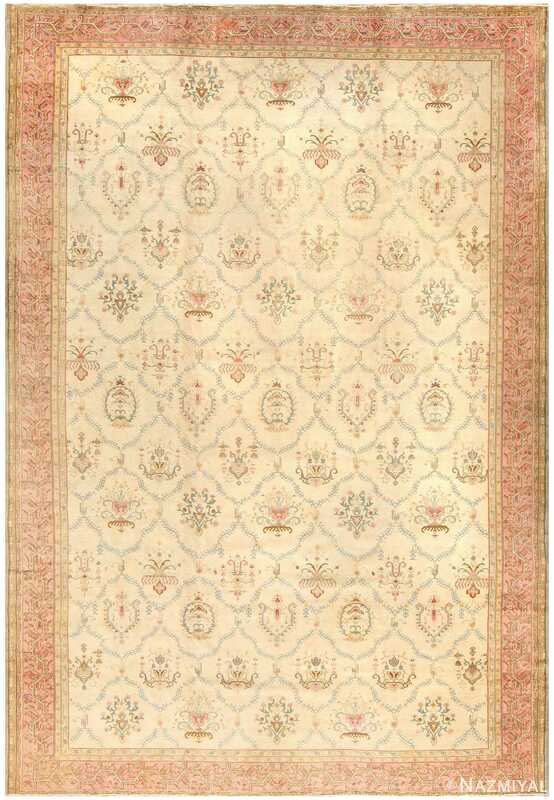 The intricate detail work throughout this rug, from the medallion to the borders, elevate it to a stately level. 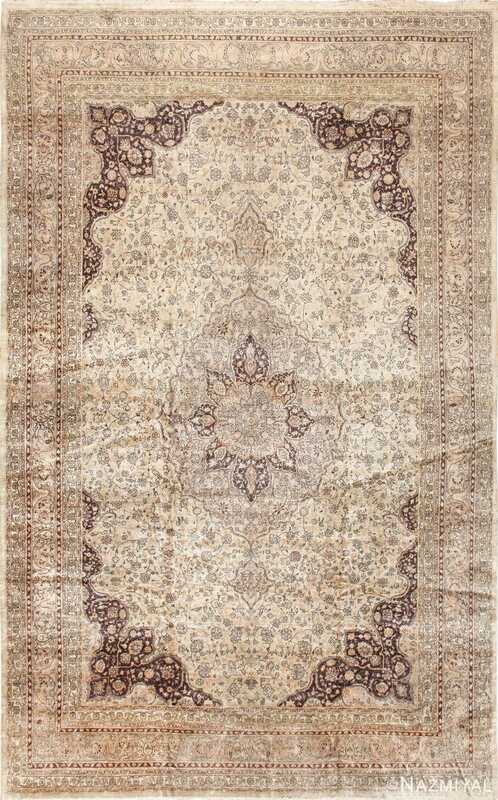 Beautifully woven, this antique Turkish Sivas carpet is a compelling an hauntingly alluring composition.